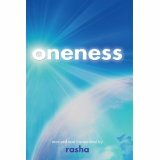 I will always have a special place in my heart for the book "Oneness." It was the first book study on BlogTalkRadio, and it was a huge undertaking. The concepts challenged our traditional Christian teachings, and took us into a deeper understanding of our relationship with God. I encourage you to listen to the interview with Rasha, who channeled this powerful message from Divinity. A True Food Kitchen restaurant exclusive! This traditional Tuscan salad is made with strips of Italian black kale, fresh lemon juice, extra virgin olive oil, crushed garlic, red pepper flakes, grated pecorino Tuscano cheese and bread crumbs. These bright, refreshing flavors combine to bring the sunny taste of Italy to your table. Kale is among the most nutrient-dense commonly eaten vegetables. One cup provides 1,327 percent of the Daily Value (DV) for vitamin K, 192 percent of DV for vitamin A, and 88 percent for vitamin C.
Jack Woods plans to stay healthy and alive by eating more foods that are, he says, healthy and alive. The Midtown Atlanta resident grazes on uncooked sprouts, grains and other raw nuts, fruits and vegetables he learned to prepare last month during a 10-day course at The Living Foods Institute. Each month, the training and healing center inside Druid Hills Baptist Church also hosts free two-hour seminars and recipe demonstrations about the nutritional benefits of organic and raw foods. Phone consultations are also available. My Beloved Readers, as the Universal Mind said through Edgar Cayce, “Mind is the Builder!” Sometimes in life it seems like one is not Spiritually growing, for it seems things work slowly. However, the key to success in building your Spiritual temple, or New Jerusalem, or climbing your personal Mount Everest or climbing your next Spiritual mountain or climbing the Spiritual ladder, is to make steady progress each day! Each day may not seem like that much is getting done. However, if this is done over weeks and months and years it really begins to add up! Every thought you think, every feeling you create, every word you say, every deed you do, is building this structure. It is built into your Aura, your causal body, your Chakras, your Light Quotient, your Lightbodies, your consciousness, your service work, your Spiritual Earthly legacy. Be not concerned with perfection; be concerned with any Spiritual progress and learning from any mistakes that are made. It is like a contractor who is building a building or seven-story house! Each day another aspect of the building is built. That is very much how it is in your Spiritual life. Everything you study, every book you read, every meditation, every Spiritual practice, every journal writing session, every affirmation, positive thought, channeling, piece of service work, insight, relationship encounter, meal, dream, the passing of every Spiritual test and lesson adds another piece to the foundation and to the house. Over 20 or 30 years you will build a fitting church unto the Lord, or a lower-self abyss! Life is a battlefield! Life is a Spiritual war! Life is a battle of Armageddon! Life is a Jihad or Holy War! Life is a marathon run! In this world there is a great deal to overcome. Even the theme of our universe is courage. In truth, all who make it have to fight their way to the top. If you love God/dess like a drowning man wants air and make this your only focus to your highest potential, it will be easier. The most difficult path is the conflicted path. This is why the Master Sananda/Jesus said, “I did not come to bring peace but a sword.” There are many things we must give up if we are going to put our Creator before creation. Only a handful of Souls each life wave make it. Be one of those handfuls. The Universal Mind through Edgar Cayce said, “Righteousness in the eyes of God is trying.” God/dess is not looking for perfection; S/He is looking for right effort. Seek and ye shall find! Knock and the door shall be opened! Amen! My Beloved Friends, after channeling and writing this chapter I asked Spirit and the Masters what they thought of the finished product! The Universal Mind stepped forward and most kindly and graciously told me S/He really liked the chapter and lesson a lot! S/He then suggested that I might consider adding one insight. So this is what the Universal Mind had to say in terms of one final thought to properly close this chapter! I loved His/Her insight and idea so I wanted to share this with all of you! Thirty years of research on successful love and marriage has taught us many things, but first and foremost – no love has blossomed or been sustained without doing the “simple things.” Big things don’t matter until your relationship has mastered the art of doing the simple things day in and day out in your relationship with another human being whom you purport to love. All too often in life, people make assumptions about love and relationships that do not stand up under scrutiny – that are not supported by the available evidence. So, what are the facts? One of the great misconceptions of all time about love and relationships is this – just do the big things and everything will turn out well. And what do the big things include? For starters the list includes “having financial stability in your relationship,” “being in love is all that matters,” “having a good job and a house in the suburbs,” and so it goes. But the truth is, these big things are important, but they are only a by-product of doing the simple things. Here’s what we mean. It is an established fact – successful love is based on an accumulation of the simple things. If you want your marriage and your relationship to succeed, just do the simple things! Do them day in and day out. When your relationship has mastered the “simple things” you have a chance to make it work. You have a chance to make it last. But if you don’t, well, failure is an option. There is another important fact of life when it comes to love and relationships – there will be big challenges to address in your relationships, of that you can be sure. You might have to deal with financial setbacks, serious illness, the loss of a job, or the death of a loved one. And trust us on this – if your relationship with the one you love has mastered the art of doing the simple things day in and day out, the likelihood of your relationship making it through the tough times are multiplied many times over. So what are these simple things? Here are a few: always showing respect for the one you love; saying I love you many times a day; engaging in simple acts of kindness (breakfast in bed, flowers on non-special occasions; opening doors for them, etc. ); giving your lover lots of daily hugs; treating them with courtesy at all times; helping clean up the dinner table; sharing financial decisions with them, and the list goes on. The point is, simple things matter and when you practice doing them, they accumulate. Simple acts add up. And always remember, you can’t keep turning on then turning off doing the simple things. You have to consistently engage in doing the simple things day in and day out. When you do, you will be surprised at how well this simple notion works. Start engaging in them today. These little chocolate sweets look absolutely delicious. If you try them before I get a chance to make them, let me know if they are as tasty as they look. 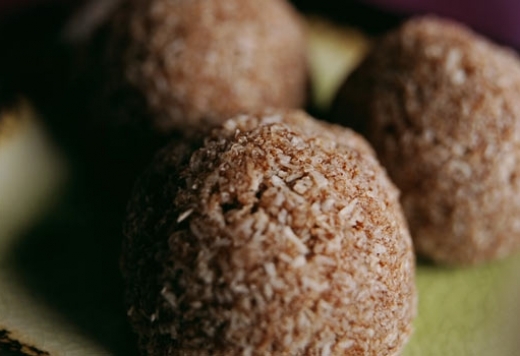 In a mixing bowl, combine the cacao powder (chocolate) and shredded coconut, and mix well. Add the coconut butter/oil and the agave nectar and mix well. Using an ice cream scoop or by hand, roll into approximately sixteen ping-pong-sized balls. Refrigerate for at least thirty minutes before serving. Perhaps this was the year you planned to practice yoga or add in an exercise routine. Maybe you were ready to learn a new language or run a marathon or take a cooking class. Could be you were committed to living with greater compassion for yourself and others. Chances are (and I’m writing from experience here) that you planned and prepared and set out with good intentions and plenty of enthusiasm to make these changes stick and accomplish your goals. Yet within weeks, that enthusiasm waned and left you feeling stuck right where you started. If that experience sounds familiar, no doubt you were sabotaged by your own limiting beliefs — beliefs that many of us don’t even know we have. Time to detoxify. Just as cleansing and detoxifying your body can be important to maintaining physical health, cleansing yourself of limiting beliefs is the key to creating vitality and wellness that will steer you toward greater success and happiness. “A lot of times, when you change some core unconscious beliefs, you then have a chance to adopt the conscious beliefs that will serve you in your life,” says Gay Hendricks, Ph.D., psychologist and Gaiam University faculty member and the author of numerous books including The Big Leap. Beliefs are simply thoughts or ideas repeated over and over until they become tethered to every aspect of our lives. We take them as truth — even though they are merely illusions. We act from them. And, as a result, they are reflected back into our lives as tangible results. Empowering beliefs can support us en route to our greatest potential. However, often we are saddled with limiting beliefs that narrow our possibilities and keep us from the things we most desire. Parents, teachers, friends and even television programs influence our limiting core beliefs, many of which we absorb unknowingly as children. They become embedded in our unconscious and affect everything from how we feel about ourselves to how we interact with others, succeed in our careers and accomplish our goals. The Universe, Hendricks says, delivers what we focus on and think about. So, if you hold the belief that you aren’t lovable, you will act on that and draw people and circumstances into your life that repeatedly support that belief by treating you poorly. Believe that there are no good jobs available? Your belief will keep you from seeing the exciting opportunities that are out there. 1. Notice what you complain about. If you are constantly frustrated or complaining about the same thing — three times or more — congratulations, you have uncovered an unconscious belief, Hendricks says. If you are always complaining that you feel criticized by your boss or spouse, for example, which belief do you hold that suggests you deserve to be criticized? If you complain about how little you have, what belief do you hold that indicates you don’t deserve more? 2. Look clearly at your current circumstance. You say you want to lose weight, but your cupboard is filled with cookies and chips. Perhaps you think you’re ready for a loving relationship, yet you work so much that you leave no time to date. Your current circumstance is a physical representation of the beliefs you hold. If you aren’t moving toward what you want, chances are an unconscious belief is catching you up. Often, Hendricks says, we don’t recognize our core beliefs until they create some negative results. Look closely at the results you’re getting — if they aren’t what you want go deeper and explore the beliefs behind them. 3. Pay attention to the self-talk. What is your inner voice saying? Is it encouraging and helpful, or does it sound narrow, constrictive, even guilty? The words we use with ourselves (and others) are powerful and often evolve from the unconscious beliefs we hold. Next time you’re in a situation that feels stressful or scary or difficult, stop and pay attention to that inner voice, then cross-examine it. Awareness can diffuse the power of that negative self-talk and allow you to choose language that works with you rather than against you. All of these techniques require an openness and a willingness to explore your own thoughts and experiences. That isn’t always comfortable, Hendricks says. Go easy. Take on these beliefs with gentleness and plenty of self-compassion. Once you’ve identified the beliefs you want to change, recognize them for what they are — repeated thought patterns. Bad habits. With practice and commitment, you can trade out the bad beliefs for better ones. Here’s how to do it. 1. Stop the behavior pattern. Become aware of your behavior. If, for example, you catch yourself buying doughnuts when you want to lose weight, or you’re surfing the web instead of developing your resume for that dream job — STOP. Take three deep breaths and notice that your behavior is coming from your unconscious limiting belief and it’s sabotaging you. Now, put the doughnuts back, click off of Facebook, or pick another, better behavior that aligns you with a more empowering belief. 2. Develop a new conscious belief. Next, choose what you do want in your life and develop a belief to support it. If you want to have a healthier body, replace your limiting belief of “I can never lose weight” with a better one: “Each day I make healthy choices for my body.” Go for greater abundance by replacing old beliefs such as “I don’t deserve it” with “I appreciate and embrace all the abundance in my life.” Repeat your new belief often. Practice it. Write it down. Consciously take actions that support those new thoughts. In time, you’ll form powerful new habits around your empowering beliefs. 3. Cultivate support. “One of the reasons people stay the most stuck is that they have a group of friends around them that support their victimhood,” Hendricks says. If you now subscribe to the belief that you are talented and competent and ready for that big promotion, it’s not easy to be around people who don’t take you seriously or claim that you’re not qualified. Just as living with a spouse who makes mac and cheese every day can be hard on your weight loss plan. As you and your beliefs evolve, it’s important that you have a support group that does the same. Talk to the people closest to you. Tell them what you need and desire, and ask them to support you in that. But know, too, that often when we drop our limiting belief patterns, we must also release the friendships, habits and other things in life that don’t align with our new way of thinking and living. 4. Make a commitment and take action. Commit to your new belief and support it with consistent and specific action.If, for example, you replace your limiting belief that you don’t deserve a loving marriage with a better belief that you are deserving of a loving relationship, you’ve got to start acting on that belief. Perhaps that action inspires you to marriage counseling. Maybe you will behave more lovingly toward your partner by openly appreciating him three times a day or doing three things to support your relationship. Changing your beliefs will alter your actions and that becomes life changing. When you uncover and detox from the unconscious draining beliefs that are keeping you stuck, your life will open up and expand. You’ll be free to adopt better beliefs and behaviors that will help you grow into your greatest self and create the life you desire. Believe it! Believe it or not we are all spiritual beings living in a physical body that is within the physical world. As you begin to recognize that you are indeed a part of the divine order of the universe that is governed by physical laws in the same way that the planets, stars, and sun are the more easily it becomes to sense the connection we have with everyone and everything within the universe. And it is that awareness to the connection of the universe that can allow you to truly give thanks to your body by seeking out guidance for healthy living in all ways. Some simple things you can do are exercise (the practice of Hatha Yoga is great exercise), eat healthy food, get plenty of rest, and meditate on a daily basis. In addition, remember that your body has been given to you for a reason. That the divinity within you is always expressing itself through you and that sharing your gifts and talents is also part of your healthy living as well. Every time you give and receive, work and play, or simply interact with others you are indeed expressing and experiencing healthy living through the divinity within you. And understand; just understand that when you make space to experience time in meditation you are choosing to consciously embrace your spiritual journey in addition to learning and growing in so many different ways. And as you have allowed the information above to be absorbed into your subconscious mind are you ready to transform your life in a variety of different ways by experiencing the transformative powers of meditation? If you are anything like most people perhaps you have already heard that meditating on a consistent and daily basis has been shown to give you relief from a huge range of emotional problems and challenges. Then again, maybe it was some other benefit or something else entirely that led you to a state of mind which has prepared you to transform and change your life through the practice of meditation. That’s why you will be glad to know that as you finish reading this article you will begin to feel a sense of peace and contentment in the knowledge that the practice of meditation is indeed a truly transformative experience. For most people, most of the transformative powers of meditation aren’t noticed immediately even though all it takes is one moment of peace and contentment in a state of NOW to realize that meditating on a daily basis is an extremely valuable and beneficial way to deal with a variety of different emotional problems and challenges. Thaddeus Ferguson has dedicated himself to the cause of helping people heal themselves first in order to help heal the world during this amazing time of transformation.